What if you approached your life as a series of design projects? What if there were a class to help you explore the bigger issues of finding your way to a career you’ll love, and space to work on crafting a total life that feels “like you”? Inspired by Stanford’s class of the same name, this new undergraduate course at Northwestern University is co-taught by Bruce Ankenman and Pam Daniels. The course includes seminar-style discussions, role-playing, short writing assignments, guest speakers, and individual mentoring and coaching. It culminates in a design showcase in which students are prompted to imagine a wide range of possibilities for their future lives and make an aspect tangible in a compelling and relevant way. We had students express themselves with everything from coding chatbots to cooking multi-course meals, to creating videos to writing books and poems which capture their aspirations for the future, to creating metaphysical maps and gameboards for the many directions their lives might take. Bill Burnett and Dave Evans from Stanford University joined class for the day. 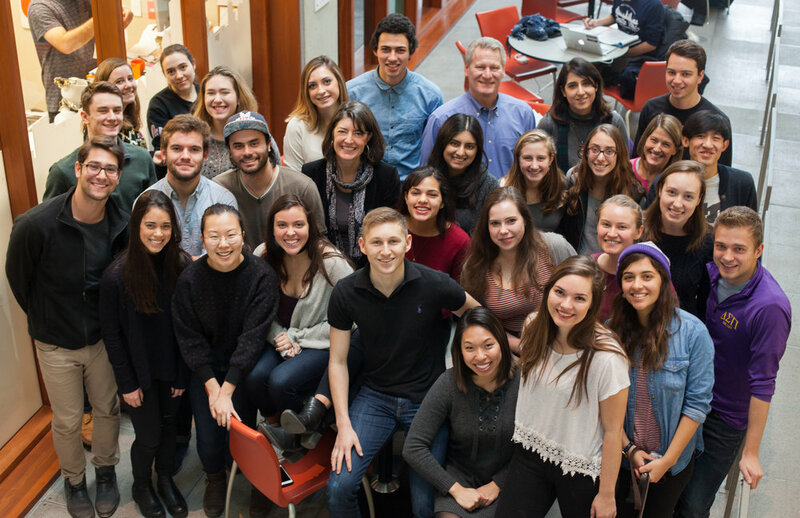 Students from Designing your Life class at Northwestern University. You can read more about the Northwestern course here, learn about the Stanford course here, and check out Bill & Dave's new book on Designing your Life here.